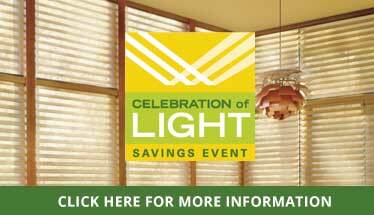 Looking for beautiful and functional window treatments? Our savvy and certified specialists have the solution: Hunter Douglas window sheers and shadings. Whether you own a home in the heart of Philadelphia or the suburbs of the city, you and your family will love the control and the ambiance now at your fingertips. Hunter Douglas Silhouette Shadings® complement your existing decor, courtesy of specially crafted fabrics, while diffusing UV radiation into warm and charming ambient lighting. Free of any cords or tapes, these window shadings maximize your view of the outside world without sacrificing your privacy. By partnering with Window Concepts, you can easily pair a PowerView® operating system with your new window treatment—allowing you to remotely control and schedule your Silhouette shadings from anywhere. Why settle for any window treatment, when you can go bold and modern with a Hunter Douglas Pirouette Window Shading®? Leveraging the flexibility and the grace of fabric vanes, the Hunter Douglas classic gives you total control over privacy and light filtration. Alternating between their flat and open positions, you may lift your Pirouette shadings as you see fit, to invite light or block out harmful UV rays from damaging your home decor. Available in an impressive range of sizes, styles and colors, these shades reflect the highest quality of craftsmanship. Brimming with beauty and a quality of fabric you can only expect from the designers at Hunter Douglas, the Luminette® Privacy Sheer is the essential treatment for your wide rooms and windows. By rotating the vanes of these draperies, you can diffuse harsh UV rays into soft and welcoming sunlight, and just as easily close them. If the motorization of your Luminette Privacy Sheers interests you, specialists at Window Concepts have the training and the certification to implement it for you. Request a consultation with Paoli, PA’s best window treatment specialists, and appreciate all the privacy and ambiance of Hunter Douglas’s sheers and shadings.